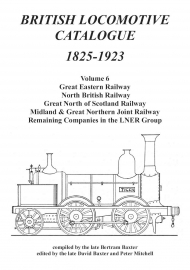 Throughout the history of public railways in Britain there have been over 370 locomotive-owning railway companies, and the volumes in this series have recorded the known data of every locomotive built for them from 1825 to the 1923 ‘grouping’. 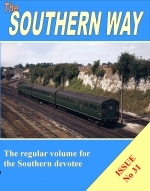 Volumes 1 to 5 were published by the Moorland Publishing Company between 1977 and 1988, but the three final volumes (which would have completed the LNER group and added the GWR and SR constituents) were never published. 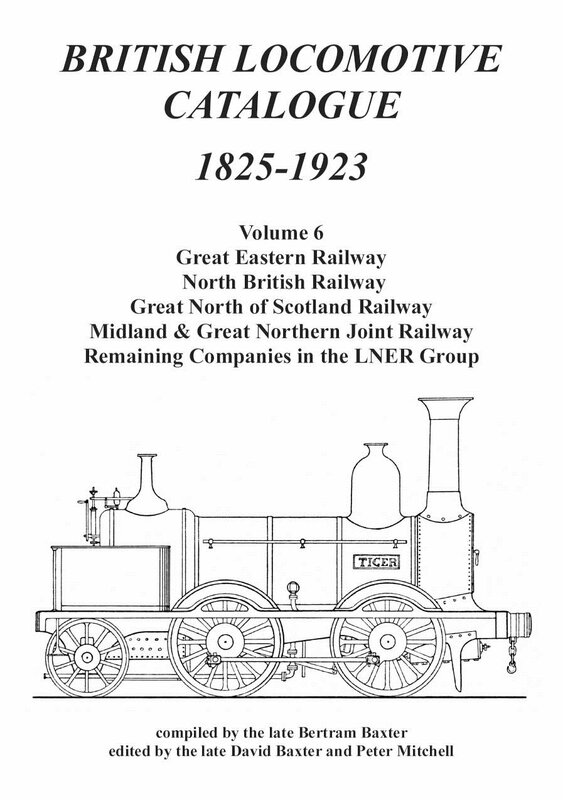 The late Bertram Baxter’s magnum opus commenced with a general summary in Volume 1, and ended (prematurely) with Volume 5b, which covered the GNR and GCR. Much of the work for the remaining LNER companies (Volume 6) had been done, but his son David, who had painstakingly marshalled his father’s data into the original volumes, died before seeing it published. He had been assisted by Peter Mitchell, and he has now completed the work needed to bring the final volume of this important survey of pre-grouping locomotives to fruition – albeit nearly 25 years after the last volume was published. For each company, there is a brief history and a comprehensive bibliography, which includes books and magazine articles. The book is uniform with the original volumes.